The growing food industry is currently employing a large number of microbial products. Microbial products are of biological origin and are considered safe as compared to synthetic and chemical formulations. Microbial products are used in the processing or manufacturing of a variety of food products. These days, fermented foods have become very common. Enzymes, pigments, and organic acids of microbial origin are common in the food industry. Demand for microbial products and metabolites are continuously increasing, and microbial products are an area of commercial interest for the food biotechnology and microbial biotechnology industries. 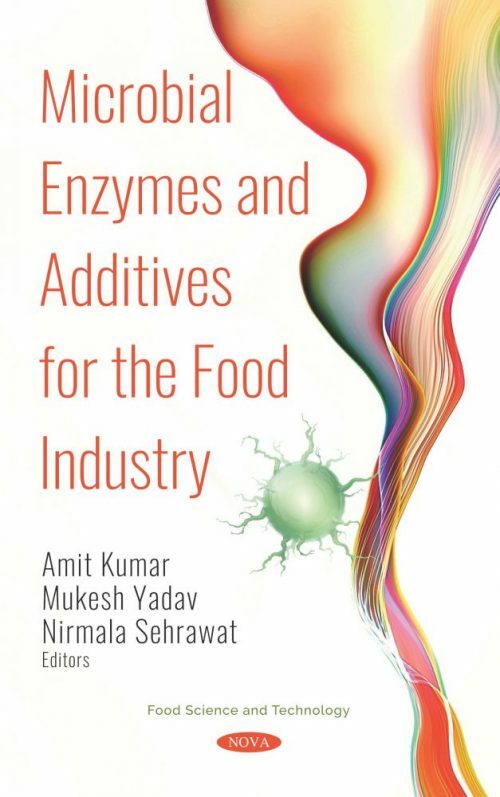 This book covers microbial enzymes along with their utilization in the food industry. Important enzymes including amylase, inulinase, pullulanase, protease, aspartase, naringinase, cellulose, xylanase, pectinase, and asparaginase have been discussed, along with their potent applications in the food industry. Also, microbial polysaccharides, organic acids, and pigments of microbial origin have been discussed. This book will provide important insight regarding microbial enzymes and additives for the food industry now and in the future. This text will be helpful for graduate, post graduate students, researchers, and industry professionals, extensively engaged in the area of food science and technology, food biotechnology, and industrial biotechnology.